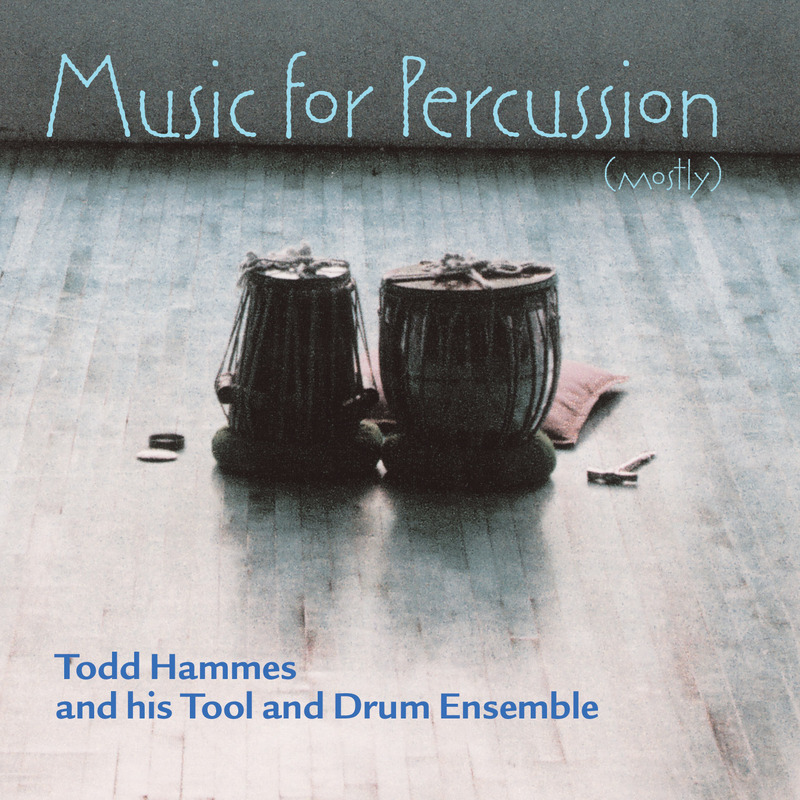 Music for Percussion (mostly) contains a collection of compositions by percussionist and composer Todd Hammes. Solo to octet, this recording represents the new breed of American percussionist. Composing and improvising. Classically Western and global. Powerful yet sublime. The Tool and Drum Ensemble is a collective of percussionists (mostly) who have been assembled to realize the music of Todd Hammes. These performers are classically trained chamber musicians who are chosen to contribute their own talents and identities to the music. In the tradition of the percussion groups Nexus and Black Earth and composers such as John Cage and Lou Harrison. The music moves from intimate to bold, sublime to fun. Todd Hammes has a clearly developed compositional style. Applying modal shifting of the bass with poly-metric concepts, Todd never loses sight of the feeling of the music and what it conveys. Eg: The subtle exploration of memory in Remembering. Eg: The raw power of Inconsistencies. However, there is the playfulness and joy of Eh Wa Ba Wa Jo and the virtuosic declaration of 4 Steps. And then there is Kalimba on Marimba which exists purely for the “love of the sound”. Then there is the plainly named Marimba, Pan and Tabla; a bold melding of a Barber-esque chorale with an virtuosic North Indian tabla drumming solo. Star Hammes' new CD is a wonderfully rich work.